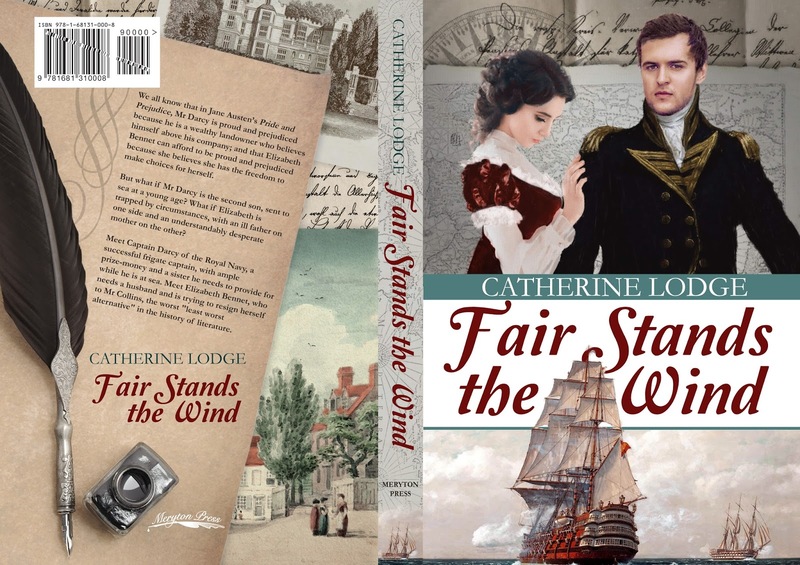 Babblings of a Bookworm : Fair Stands the Wind by Catherine Lodge - Now Available to Purchase! Catherine is the author of this book, and previously had the unpleasant experience of having her book stolen, and added to Amazon by a third party. Although she got Amazon to pull the book from sale, what it meant is that they were reluctant to add it again. So she got to suffer at the hands of thieves twice, once when they stole her book, and again when she was unable to publish. What should have been an exciting time for Catherine publishing her debut novel instead became an absolute palaver. So, let's get some excitement back into proceedings. I am very happy to tell you that Fair Stands the Wind is now available to buy! Yippee! 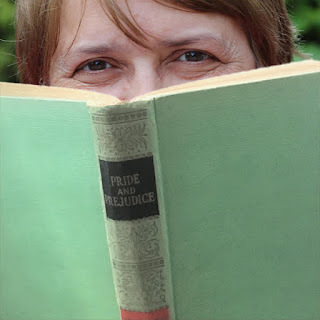 We all know that in Jane Austen’s Pride and Prejudice, Mr Darcy is proud and prejudiced because he is a wealthy landowner who believes himself above his company; and that Elizabeth Bennet can afford to be proud and prejudiced because she believes she has the freedom to make choices for herself. But what if Mr Darcy is the second son, sent to sea at a young age? What if Elizabeth is trapped by circumstances, with an ill father on one side and an understandably desperate mother on the other? 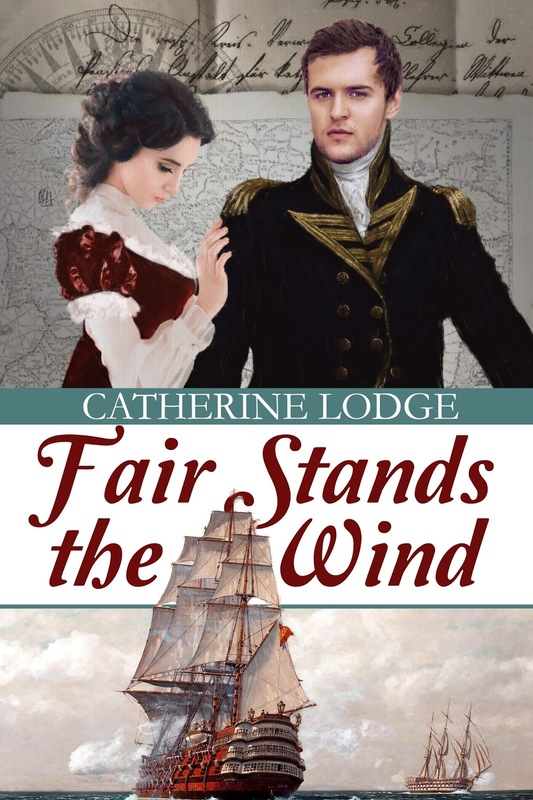 Meet Captain Darcy of the Royal Navy, a successful frigate captain, with ample prize-money and a sister he needs to provide for while he is at sea. Meet Elizabeth Bennet, who needs a husband and is trying to resign herself to Mr Collins, the worst “least worst alternative” in the history of literature. I am sure you will join me in wishing Catherine all the best with this novel. I have heard nothing but good things about it, and now we can buy the book we can find out for ourselves! Thank you so much for doing this, Ceri, I must admit to being disappointed in the way things turned out. But the Bloggers and commentators made this a wonderful experience. It's no problem, Catherine. It seemed so unfair that you had to experience a double disappointment due to your work being stolen, so I was glad to be able to help you a little. congratulations on the release! best wishes! I did read this as a WIP and loved it. I did post my 5 star review. Great story and the ending is particularly sweet and romantic...sigh. Congratulations and good luck with the release. I am so sorry you had problems with the launch. I hope all was settled for you and that it is smooth sailing [no pun intended... OK, the pun was intended] from now on. Blessings!!! Haha! Love that pun, Jeanne! So glad to hear that. Thanks, Ceri, and congrats & best wishes to Catherine Lodge. What a difficult time it must have been! Thanks Joana. I hope that Catherine can enjoy the experience now that the book has finally been launched.